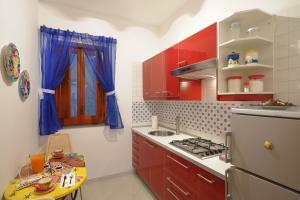 well equipped kitchen, simple balcony, large room, good bathroom, lovely patio upstairs, with amaizing lemons (in march). near the bus stop, and easy to get to. Great experience. Prime location, close to everything but also without the feel of being in a tourist trap. We really appreciated and enjoy the host. The family runs the ceramics shop below the apartment and they have beautiful work. The mother was hospitable, always smiling and always welcoming. We would love to come back again in the future and would plan to stay here again in a heart beat. The location has character and charm and perfect for my husband and myself. We loved the view from our balcony, where we had coffee every morning. And the rooms were bright and cheery, with all of the handmade ceramics throughout. I wish we had more time to explore Praiano, as it seemed lovely. We had a car (the parking space in front of the property was appreciated) so it was easy to drive up and down the coast. Praiano seemed the perfect place to stay if hiking the Path of the Gods, although we didn't get to do it. Ana was the sweetest hostess ever! One morning before we left for the day, my daughter put some laundry in the washer. When we returned, Ana had hung everything on the clothesline for her! My daughter was embarrassed to see her unmentionables flapping in the wind but grateful nonetheless. Because our visit was during the winter, we didn't get to take full advantage of the beautiful large deck area. Will have to go back! The family was wonderful! They made you feel like part of their family! The location was perfect. Wonderful view of the ocean. It was a cute apartment with a kitchen and large bathroom. Also had a nice patio. The washing machine and outside drying racks were a great help. Mama Giardino make us feel at home in her house. When we arrived, she set out cold beers and snacks. The room had a very large patio and speculator view of the Med. 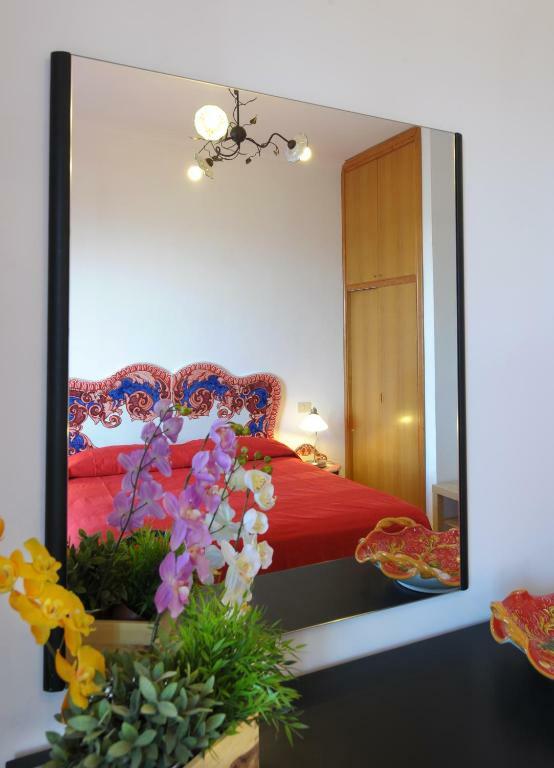 The apartments are right on the famed Amalfi coast road and could be noisy, but we were able to shut out the road noise with dual paned french doors and great air conditioning. We hope to return in a few years and we will be coming back to Mama Giardino's home away from home. Loved the patio on the top floor. Apartment was very clean, with ample space. Owners very friendly and helpful. Owners were wonderful and helpful for locating activities we asked about . Would recommend booking this spot . 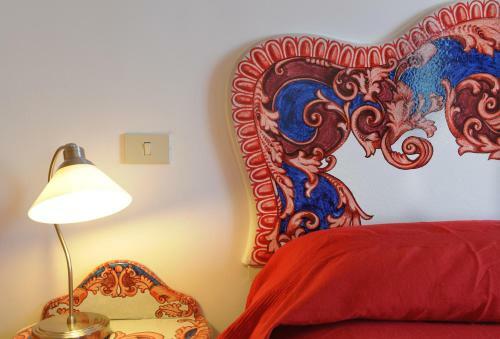 Lock in a great price for Il Giardino Dei Limoni – rated 9.1 by recent guests! One of our top picks in Praiano.Il Giardino Dei Limoni offers a shared sea-view terrace and apartments with views across the Mediterranean Sea. 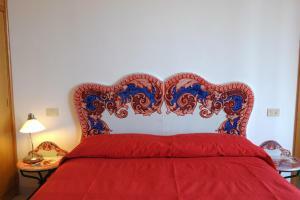 Located in Praiano on the Amalfi Coast, it is 5 mi from Positano and Amalfi. Wi-Fi is free. Apartments are bright and spacious with colorful furniture and linens. Each one is air conditioned and has a fully equipped kitchen or kitchenette. Guests will have a balcony or patio with sea view. Il Giardino Dei Limoni has good bus and boat links to other picturesque towns along the coast. Sorrento is 30 minutes drive away, while Salerno can be reached in 40 minutes by car. 뀐 Located in the top-rated area in Praiano, this property has an excellent location score of 9.1! 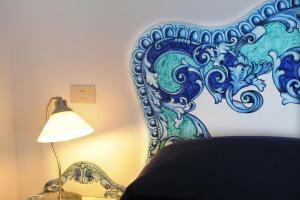 When would you like to stay at Il Giardino Dei Limoni? With bright yellow walls, this apartment features a terrace with sea views. It has 1 bedroom, a kitchen and a living room with sofa bed. Wi-Fi is free. This smaller modern apartment features a small terrace with views of the Mediterranean Sea. It features 1 bedroom, kitchen, and bathroom with shower. Wi-Fi is free. This bright and spacious studio features a partially covered terrace overlooking the Mediterranean Sea. It offers a living room with kitchenette, 1 large double bed and sofa bed, and bathroom with shower. Wi-Fi is free. This apartment has a balcony, sea view and kitchenware. i just want give you some informations how to arrive to my apartment. if you come by bus you must stop in Praiano via roma 42 sita bus stop number 10 than you have to walk 50 meters direction Sorrento we have a ceramic shop the name is Lizart, we wait you in the shop for the check in. If you come by car we have a parking place available 10,00 euro x day. Please let me know the time of your arrive. restaurants, bars, beach 10 minutes walking than 1km away from the city center supermarket 15 minutes distance parking 10 minutes walking. House Rules Il Giardino Dei Limoni takes special requests – add in the next step! ATM card Il Giardino Dei Limoni accepts these cards and reserves the right to temporarily hold an amount prior to arrival. Il Giardino Dei Limoni accepts these cards and reserves the right to temporarily hold an amount prior to arrival. Please inform Il Giardino Dei Limoni of your expected arrival time in advance. You can use the Special Requests box when booking, or contact the property directly using the contact details in your confirmation. - The only problem in the area overall is parking. Parking is 15 EUR/night arranged by owners at a place nearby. You can park in Praiano blue zone for free between 20:00 and 08:00 (drive up the village) or I’ve found a small parking stripe next to the cemetery entrance with no restriction signs (8min walk to the place). The heating didn’t work, so the apartment wasn’t ready to meet guests. It was cold outside, and there was the same temperature inside. The air conditioner worked slowly and can’t heat the room. We closed all the doors, put an additional heater in bedroom and tried to warm up the room. We asked one more heater, but the host even didn’t answer in WhatsApp, although he saw we came with our child. In cold season I can’t advise to stay there. This apartment doesn’t fit it’s price. Dear Alfonso and dear Ana, thank you for your great hospitality! I'd like to let everyone know that this might be the perfect spot for a wonderful summer vacation. My stay was on the purpose of studying the area and its attractions. The property does not belong to a big and renowned hotel chain. And thank God for that, You'll receive a very warm welcome. And when I say "warm", I say very civilized and not intrusive. Alfonso and Ana love what they do and you can feel it every minute in their company. You're given the key to the room and off you go. My room was very spacious with a fully equipped kitchen and a great terrace. The view was absolutely astonishing. You're one hour away from Naples, very close to Amalfi coast. So if you rent a car, this is the perfect choice. Not to mention the lemon garden in front of the property. All the streets smell like you're walking in a garden of lemons and oranges. While I sat on the terrace, looking at the sea, over the lemon trees, I imagined I could rent a room there for a month or two. Just to travel and work. So if you have the liberty to work abroad and choose a place, this might be on the short list. I'll definitely come back. And while there, don't forget to visit the ceramic shop. The whole area has a long tradition in this respect. You'll find a wide range of products to accommodate all tastes. We hired a car which, with hindsight, was not necessary - traffic was pretty challenging and there was nowhere to part (property arranged car parking for EUR10 a day which is pretty standard). Quite a bit of noise from the roads at night with the windows open. Lovely property with private balcony and a shared roof terrace, very comfortable and with great views over the Bay of Naples. The owners were extremely helpful with all our queries and directed us to sights, restaurants, bus stops, shops etc and generally made us very welcome. Praiano itself is quieter than Positano or Amalfi which suited us well - easy access to the Sentieri degli Dei, and we took a great daytrip to Capri from Marina di Praia. Friendly staff who made us feel very welcome and helped arrange transportation. Would return.